X inactivation normally occurs early in development, so it is not an easy time to study in humans! 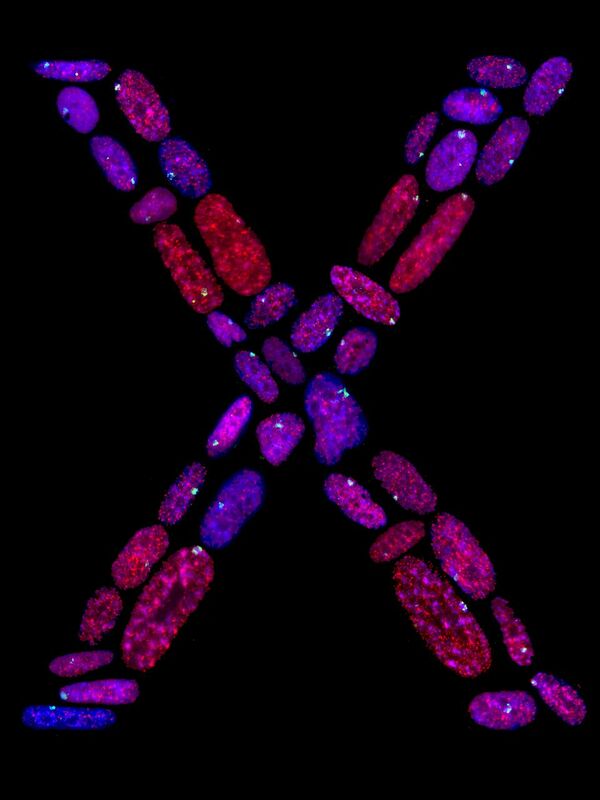 Many groups study mice as an alternative – and in mice Embryonic Stem cells (ES cells) from females have two active X chromosomes, and one undergoes silencing. People have isolated female human ES cells, or induced pluripotency from differentiated somatic cells (iPS cells), but these usually have an active and an inactive X chromosome – and the inactivation is unstable. Therefore to study how human XIST functions, we have developed a system where we can induce XIST expression. In a recent paper we looked at what happens when XIST is expressed from nine different locations (only one of which was on the X chromosome). While it functioned partially at all of these sites, recruitment of the heterochromatic features SMCHD1, macroH2A, H3K27me3, and H4K20me1 occurred independently of each other in an integration site-dependent manner. We have also examined the regulation of the XIST gene itself.